Posted in General by Mark Stoeckle | Comments Off on Marine eDNA works–let’s get going! “GoFish assays amplify a mitochondrial 12S rDNA segment with vertebrate metabarcoding primers, followed by nested PCR with M13-tailed, species-specific primers. Sanger sequencing confirms positives detected by gel electrophoresis. 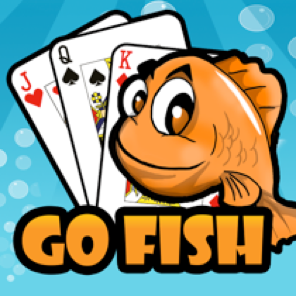 Unlike quantitative PCR (qPCR), GoFish does not require tissues of target and related species for assay development and a basic thermal cycler is sufficient. Unlike Illumina metabarcoding, indexing and batching samples are unnecessary and advanced bioinformatics expertise is not needed. From water collection to Sanger sequencing results, the assay can be carried out in three days. The main limitations to this approach, which employs metabarcoding primers, are the same as for metabarcoding, namely, inability to distinguish species with shared target sequences and inconsistent amplification of rarer eDNA. Posted in General by Mark Stoeckle | Comments Off on GoFish for Environmental DNA! Our paper, “Why should mitochondria define species?“, is published open access in Human Evolution 2018; 33:1-40. It recently received a lot popular press attention claiming our work supports creationist views. This interpretation of our work is wrongheaded. Our study is grounded in and strongly supports Darwinian evolution, including the understanding all life has evolved from a common biological origin over several billion years. Our study follows mainstream views of human evolution. We do not propose there was a single “Adam” or “Eve”. We do not propose any catastrophic events. We encourage interested persons to read our original article, not the recent press commentary. Following the first Banbury workshop in March 2003, Jesse Ausubel and I wrote a “Draft Scientific Rationale and Strategy” that described DNA barcoding as ““Google” for Life Forms” (with the name in quotes in case readers didn’t get the reference, hard to imagine today!). One year and a second Banbury workshop later the Consortium for the Barcode of Life (CBOL) was inaugurated at Smithsonian Institution, National Museum of Natural History, Washington, DC. 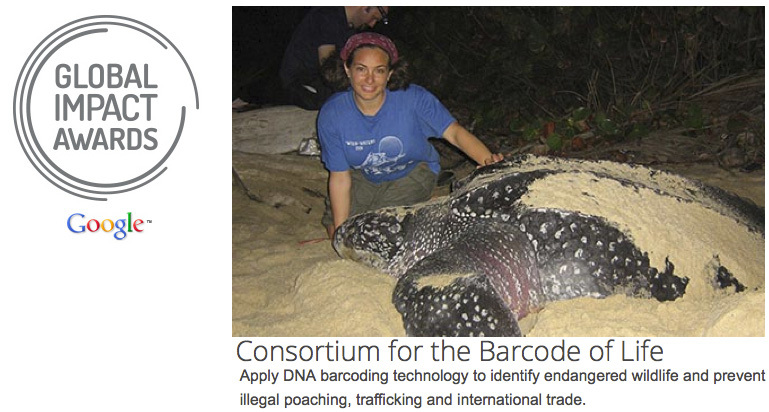 This week the Google Foundation announced a $3 million Global Impact Award to CBOL to enable a DNA barcode reference library for endangered species (and their close relatives) as a tool to prevent illegal wildlife trafficking. As in 2003, this is a wonderfully natural pairing of organizations and a cause for the entire barcoding community to celebrate. In the language of today, we can see the DNA Barcoding/Google for Life Forms is a kind of “open access” to taxonomic knowledge. It may turn out that the ability to identify species, like the ability to search the internet, will have wider consequences than we currently forsee. 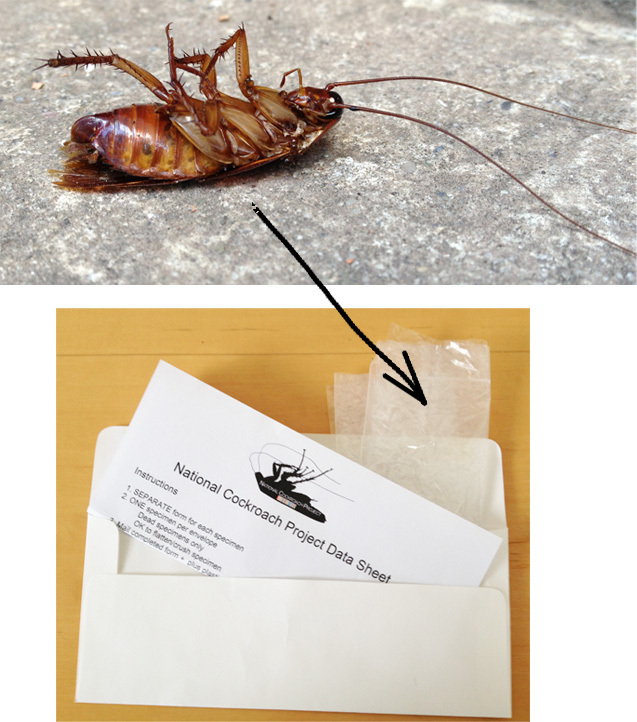 In The Viral Storm: The Dawn of a New Pandemic Age (2011), author Nathan Wolfe cites the 2008 high school student DNA barcoding ‘Sushi-gate’ project as “one of the first notable examples of nonscientists “reading” genetic information.” As a Cassandra, Wolfe envisions this as a first step towards DIY bioterrorists but I imagine it is more likely a first step towards DIY biologists sequencing everything in sight, helping monitor the health of the environment, including tracking spread of human and animal diseases. 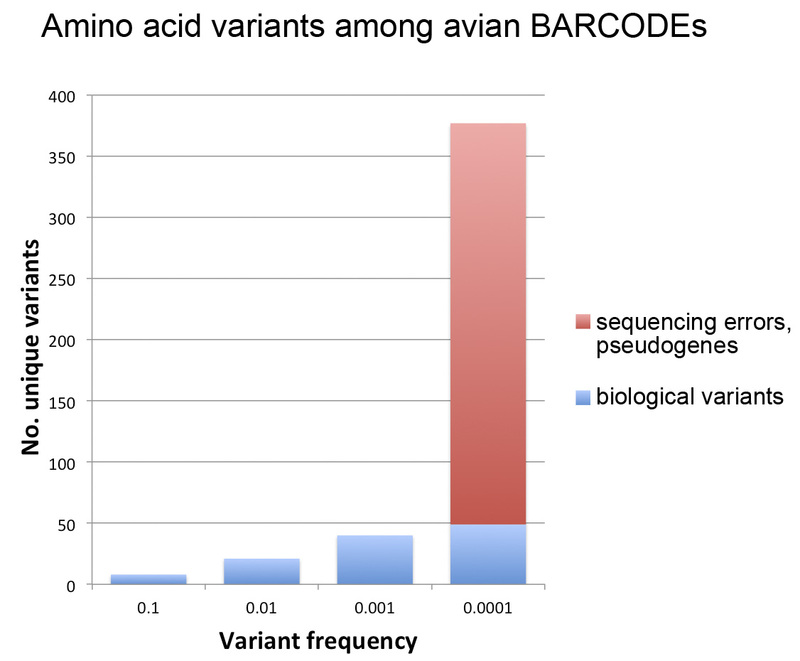 Last week’s post looked at amino acid variation among avian BARCODEs (11,000 sequences, 2,700 bird species). 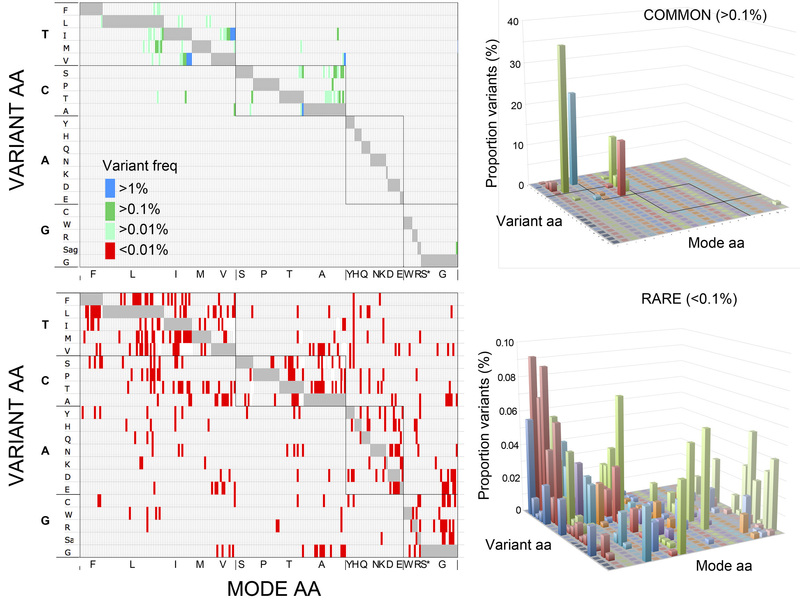 The findings were that common variants (present in >0.1% of sequences) are few and restricted in terms of types of amino acid substitutions, while rare variants (present in <0.1% of sequences) are many and diverse, the latter consistent with our published observation (PLoS ONE 2012 e:43992) that most rare variants in this dataset are sequencing errors. Here I follow-up on this observation to look more closely at the same dataset, this time asking what is the relationship between variant frequency and number? For this analysis I separated probable biological rare variants (found in 2 or more individuals of a species) from those that were likely sequencing errors or contained in pseudogenes (more details in PLoS ONE paper). As shown in figure below, this analysis gave what looks like a surprisingly simple relationship between variant number and frequency, which presumably reflects some evolutionary principle assuming it is not an accidental feature of this particular dataset. It may be of interest to analyze amino acid variant frequency and number among BARCODE datasets from other taxonomic groups. A larger version of this figure is available here.